Don´t miss your chance to take an unforgettable workshop or painting session in this beautiful country, in its special former fishing village, Cascais, with its winding coastline. Here, you can mix the colours of Cascais and paint its soft yellows and pinks found in the lovely architecture and rooftops, the vivid blues and greens of its coastline and magical seascapes. Our painting experiences, workshops and sessions, are for all abilities, have a minimum duration of half a day and you can choose between oil, acrylic paint, watercolour, tiles painting and silk painting. Our Painting Workshops are led by one teacher of our team. These kind of experience can be organized at least for 3 people. 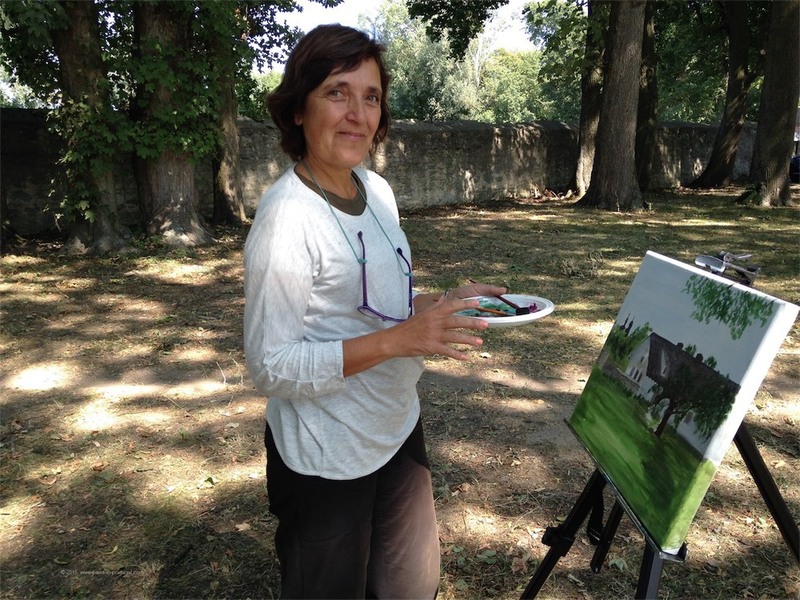 In our Painting Sessions, you will paint with Margarida, the founder of Paint in Portugal. We take you to the unforgettable experience of painting by the seaside. You have a list of incredible locations to paint in Cascais. You can choose to paint close to the sea, in the village or in one of our parks or gardens. If you like, we can take you to paint in a place of your choice in Sintra or in Lisbon, or everywhere near Cascais. We can adapt our painting sessions to the weather conditions: if the weather is good we can paint outdoor. If not, we can choose indoor places also with fantastic views. We are available to pick you at your hotel and also provide all the materials you need. To join us in these experiences, and for some more informations about, please contact us. For more contacts, please visit our Contact page.